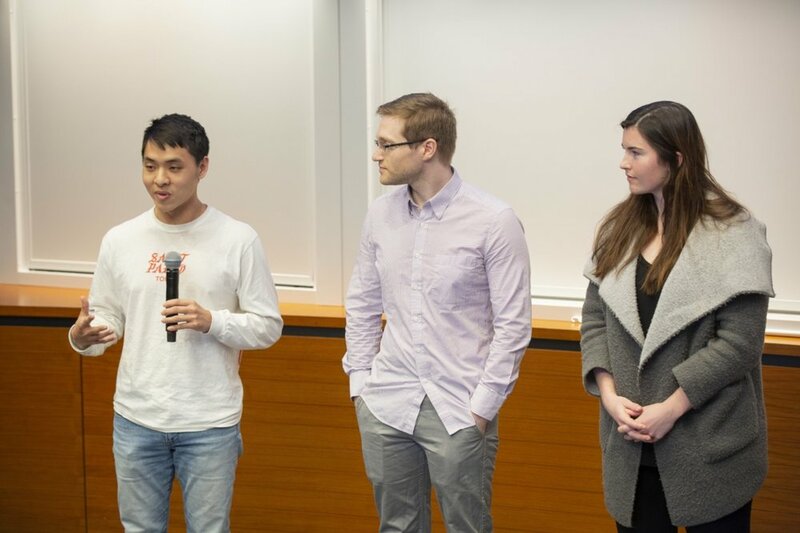 As part of Startup Yale, several teams of entrepreneurs vied for five $25,000 awards during the pitch-off competitions. 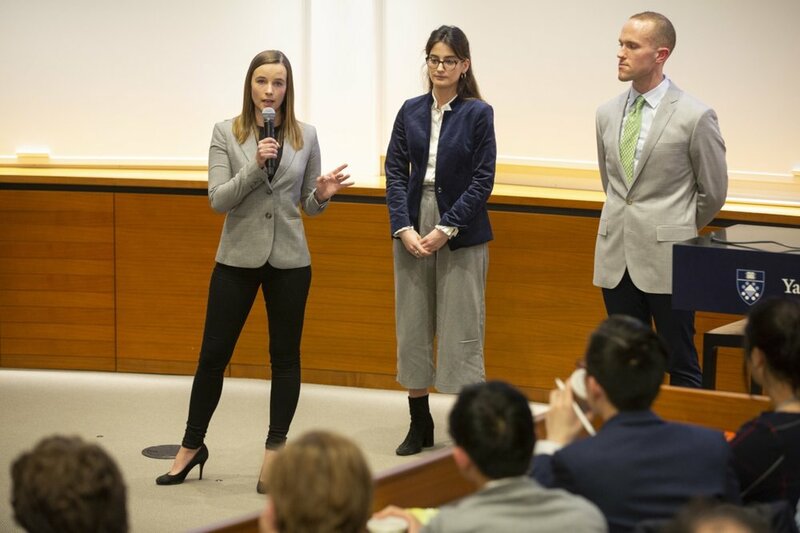 Each team was given 10 minutes for a presentation, followed by another 10 minutes of questioning by a panel of judges, who later deliberated and chose the winning team. Audience members were able to vote for their favorites as well. Penta is a nonprofit social venture that repurposes used medical equipment for amputees in developing countries. The company plans to launch first in Vietnam, working with local partners, and will likely expand to other markets in Southeast Asia. Snackpass is an app that lets you skip the line, collect points and send gifts to friends. More than 80 percent of Yale students use the app, and the company has expanded to its second campus, Brown University. Its goal is to achieve 80 percent penetration at over 100 colleges. Concha is developing a saltwater aquaponic system capable of growing both White Pacific Shrimp and the red macroalgae Asparagopsis taxiformis. These two products together have the potential to both improve the quality of and significantly reduce the environmental impacts associated with current beef and seafood production. Easy EC is a web-based tool to help young people access emergency contraception. The user answers a few simple questions and its algorithm returns best-fit options based on self-reported factors, timing, user location, state regulations, and local resources. Both the website and app versions are free and confidential. Raise Green is a financial technology company to crowdfund a green and just future. It aggregates small investments to provide equity into project finance companies. This offers investors a market rate of return while financing projects that provide social and environmental benefits. Photos courtesy of Harold Shapiro.